Wedding Fayres Yorkshire has been involved with wedding fayres and showcases for over 6 years and coming from an event and marketing background we take a different approach to organising and hosting them. Working with many chain hotels, independent venues and event centres, we create platforms that put brides in touch with suppliers and helping them get what they want for their big day. We are big advocates in helping and supporting other business in the industry, hosting free workshops on using social media, guiding new businesses, and helping whoever we can along the way. When working with us you might encounter a few members of the team. 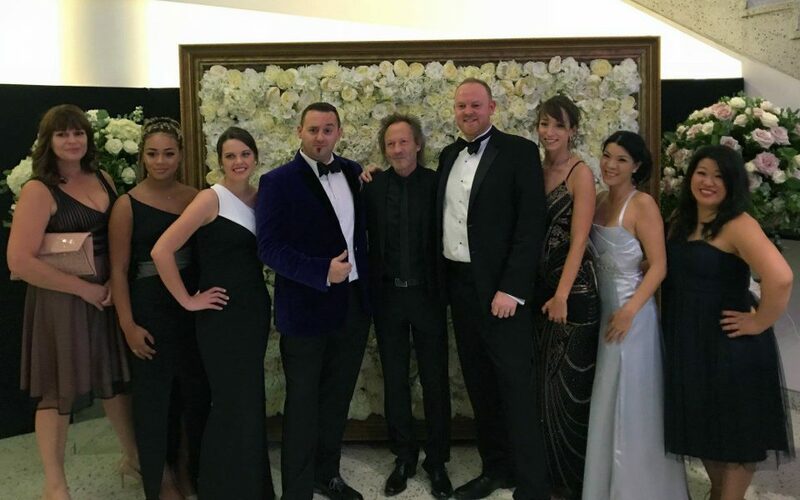 Head of marketing team Grant has a wealth of knowledge and stays on the cutting edge, leading the way in bringing business’s and brides together under one roof. Events Manager Allan will organise your booking, answer any questions you have about exhibiting and offer any advise to make sure you get the most from our events. To mention a few others – Paul, our events compere… Having had many years in the spotlight on several radio stations and sporting arena’s, he hosts the events and brings the show to life. Rachel our admin assistant and social butterfly, stays on top of social media and keeps an eye on the wedding industry, making sure we are up to date on what you guys are up to. And Choi, the big smile you see first thing on a Sunday morning, registers the brides and welcomes exhibitors on the day of the event and can often be found stuffing goodie bags ready to give away to brides, Ellanna looks after all our online enquiries and supporting new and established wedding businesses get the most out of our services, as well as being an event manager she can often be found in the office telling Grant and Allan off. Many of you have met Amanda, as well as sales and running event days she also can be seen choreographing all our bridal fashion shows. Paris Can often be found either helping exhibitors on the day or strutting her stuff on the catwalk and last but by no means least we have the fabulous Lesley who has to be the nicest accounts person in the world. Together we work hard to organise, market and host the most successful and well organised Wedding Fayres in Yorkshire.